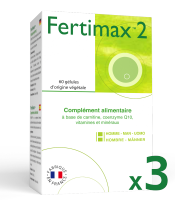 How does FERTIMAX 2 ™ work? How does Ovocyplus™ work ? 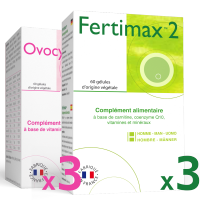 3 boxes for a 3-months course of treatment.For it to be effective, take FERTIMAX™2 for a minimum of 3 months, i.e. the average time it takes for the spermatozoa to mature (72 days) plus the 25 days required for them to be able to fertilise. 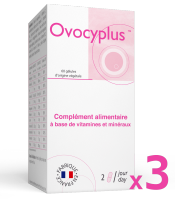 3 boxes for a 3-months course of treatment.For it to be effective, take Ovocyplus for a minimum of 3 months. The oocyte can only be fertilised once a month in the middle of the female cycle. This is known as the period of ovulation and corresponds to the moment when an ovum comes out of the woman's ovary. After its release from the ovary, the ovum will only live for 24 hours. 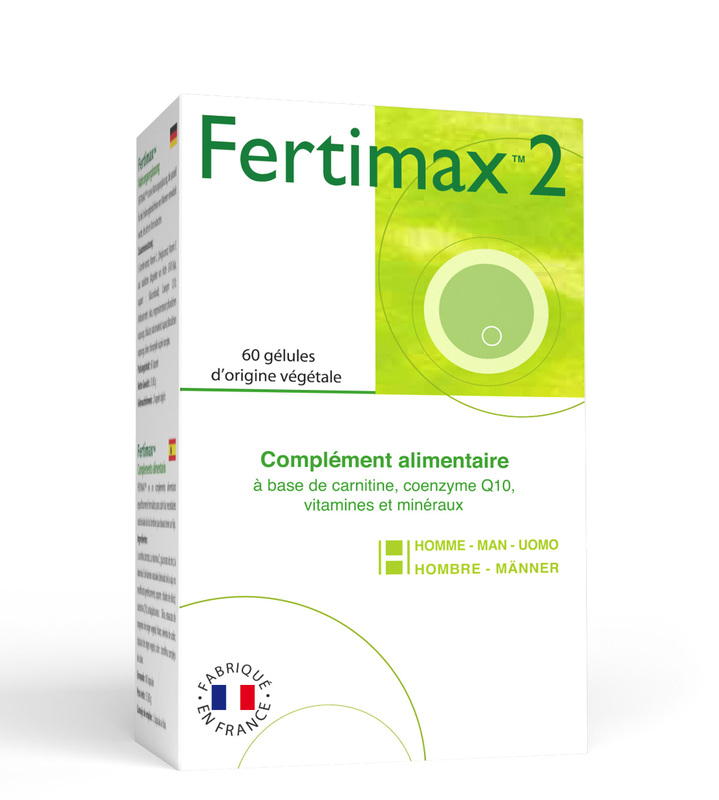 The quality of the sperm is a crucial factor in this process. In order to approach its international customers, DCMG TM is currently installing a local distributor network.